A person may establish a trust that becomes effective during his or her lifetime or a testamentary trust, which becomes effective following his or her death. A living trust is a trust that becomes effective during the lifetime of the person who creates the trust. 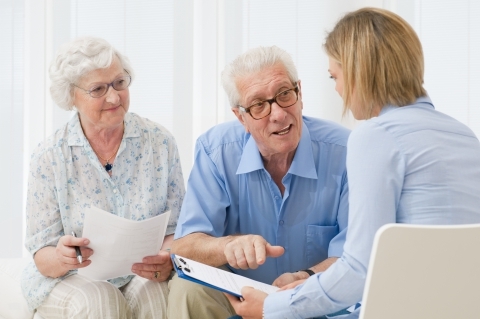 A wide variety of trusts are used for estate planning purposes. Trusts utilized in estate planning include many kinds of testamentary trusts and numerous types of living trusts. A living trust may take the form of a revocable trust, which may be revoked by the person creating the trust, or an irrevocable trust, which may not be revoked. Trusts play a useful role in planning to minimize or avoid income and estate taxes. An individual may reduce his family’s income tax liability in certain situations by creating a trust that shifts taxable income to a child. Estate planning tools for married persons include a credit shelter or bypass trust, which allows a married couple to protect the maximum amount of their assets from exposure to estate tax. Irrevocable life insurance trusts facilitate reduction or avoidance of estate tax for persons with life insurance coverage because insurance held in the trust is not subject to estate tax. In many cases, charitable remainder trusts are useful in assisting individuals to minimize income and estate tax liability. Trusts may also be used to achieve a number of estate planning objectives unrelated to reducing tax liability. A trust may be a suitable arrangement for providing effective management of assets when the trust beneficiary is a minor, is disabled or is considered incapable of making wise decisions in regard to managing or investing assets. An individual may also transfer assets to a trust as a means of avoiding probate, i.e., avoiding the application of estate administration procedures to those assets on the individual’s death. The transfer of property to a trust causes a change in the legal characteristics of ownership rights in the property. Before the settlor transfers property to the trust, he or she owns all of the rights, and has all of the obligations, associated with the property. When the property is transferred into trust, the rights of ownership in the property are divided into 2 different interests: the legal interest, held by the trustee, and the equitable interest, held by the beneficiary. The trustee has the power and authority to control the management and disposition of the property. The trustee normally has the power to sell trust assets, the power to purchase investment assets with trust funds and the power to distribute trust assets to the beneficiary in accordance with the terms of the trust. The trustee is obligated to exercise his or her powers for the benefit of the beneficiary. The beneficiary has rights relating to the use, possession and enjoyment of the trust property. Trust provisions require or permit the trustee to distribute trust funds directly to the beneficiary or make payments of trust funds in a way that benefits the beneficiary. A beneficiary is generally entitled to sue a trustee who acts improperly and take other action that may be necessary to protect trust assets.